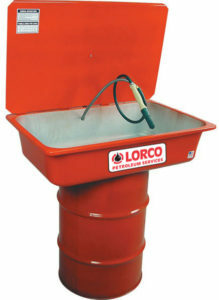 A non-hazardous parts washer solvent is available for sale in 16, 30 or 50 gallon drums. It is a virgin product that is safe (high flash point) and environmentally friendly. Click here to ask a question or receive pricing information.